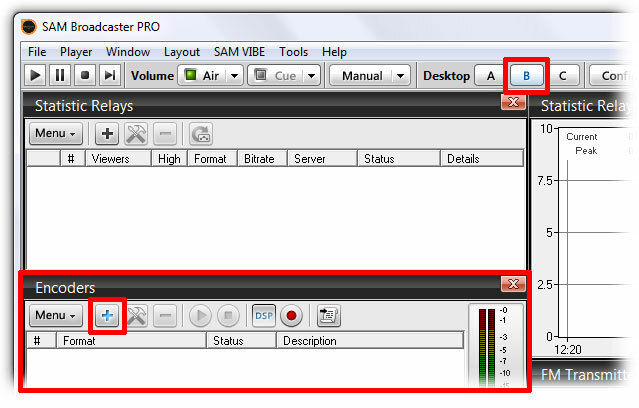 If you don't already have SAM Broadcaster then you can get a free trial or purchase it here. If you're a serious broadcaster, then SAM Broadcaster may be the best option for you. We won't go into all of the features here, this is just a quick guide to setting up your encoder. Installation is straight forward and plenty of information is provided on the Spacial website so we will assume that you already have the software installed. You will find some icons along the top of the window, click on B and this should bring up some different modules, including one called 'Encoders'. Cilck on the '+' icon and add an encoder. A new box will appear where you can select the format of your stream. First of all, you will be asked to select the bitrate of your stream. 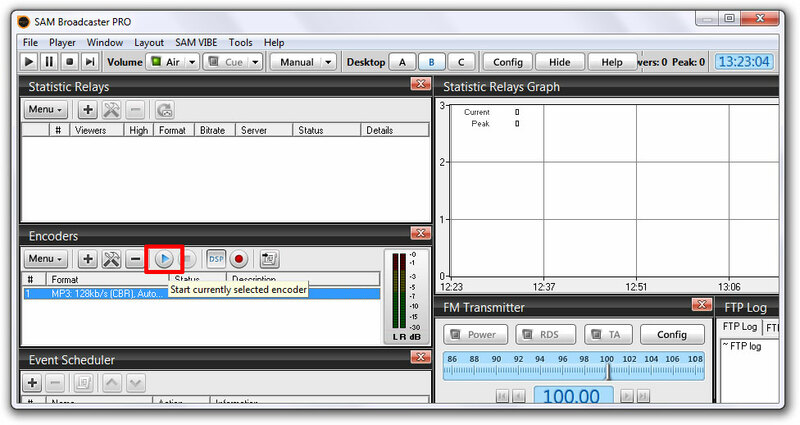 The Mode and Sampling Rate can usually be kept as the default values. Once complete, click on the Server Details tab. 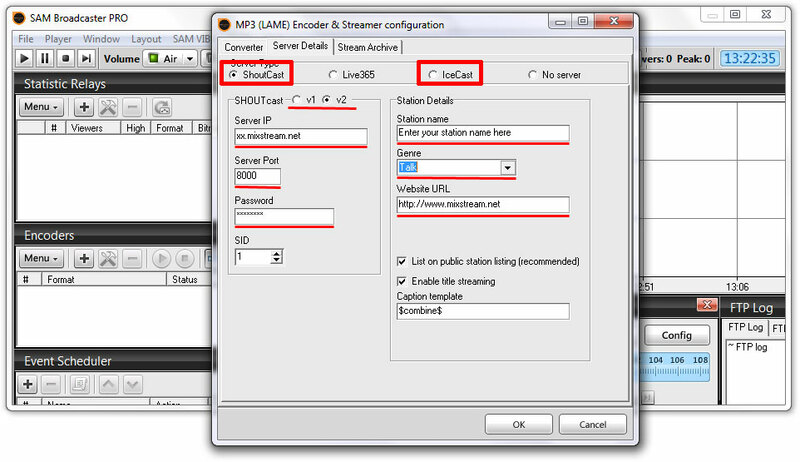 This is where you put in the info that you were sent when your SHOUTcast/Icecast account was activated. You will need to enter the Address, Port, Password, etc - if you are unsure, please open a support ticket or log in to the control panel (you should have recieved an email when you signed up to the service with your stream details). 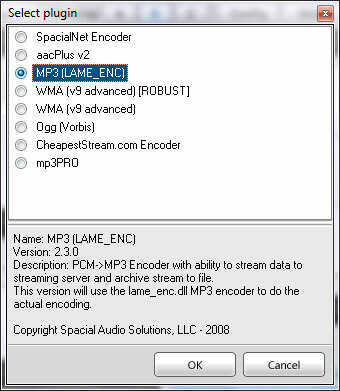 Please ensure that you select the correct server type and if you're using Shoutcast then you need to make sure you select the right version (v1 or v2). All of the fields outlined in red above are required. Click OK once you have completed your setup.